Everybody loves free things, right? After all, if you can get something free of charge, why pay for it? If you’re starting an online business, you might want to know how to host a website for free. Well sit back and relax – in this article we will teach you everything you need to know about free hosting! 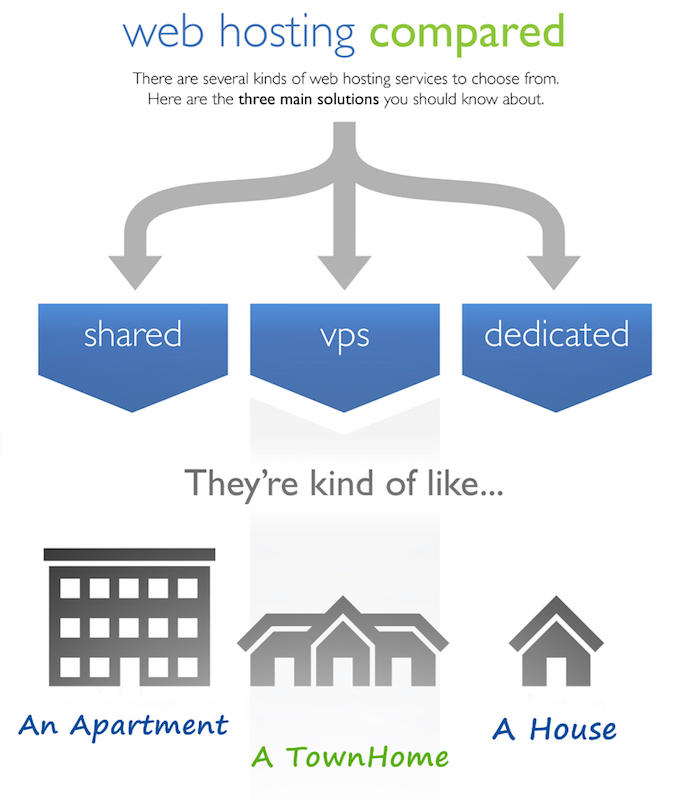 What Is Hosting and How Does Web Hosting Work? How to Set up Free Hosting with 000webhost? In short, web hosting is a service that stores website’s data on the internet. Think of it as an apartment renter – you pay a monthly (or yearly) fee, to live and store your things in their property. This is exactly what a hosting provider does. They rent out a server for people to store and run their website data in. Depending on your needs and technical knowledge, you can choose between a couple of different types of hosting. Web hosting companies typically offer several hosting plans such as shared hosting, VPS hosting, dedicated server hosting, and cloud hosting. Shared hosting refers to a setup where many sites are all hosted together on the same server. This hosting plan is best for beginners and those, who don’t need a lot of resources. A Virtual Private Server (VPS) simulates multiple individual servers partitioned on one central server. It gives you more control and power, however, to manage VPS hosting, you need advanced knowledge. This plan is when you rent out the entire server for yourself. It is like owning a house. Dedicated Servers are best for business’ sites that require high performance and loads of resources. Cloud hosting is a team of servers working together to provide hosting. It is the best combination of shared and VPS hosting plans. Different hosting providers have different costs for their plans. However, if you want to host a website for free – we have your back! 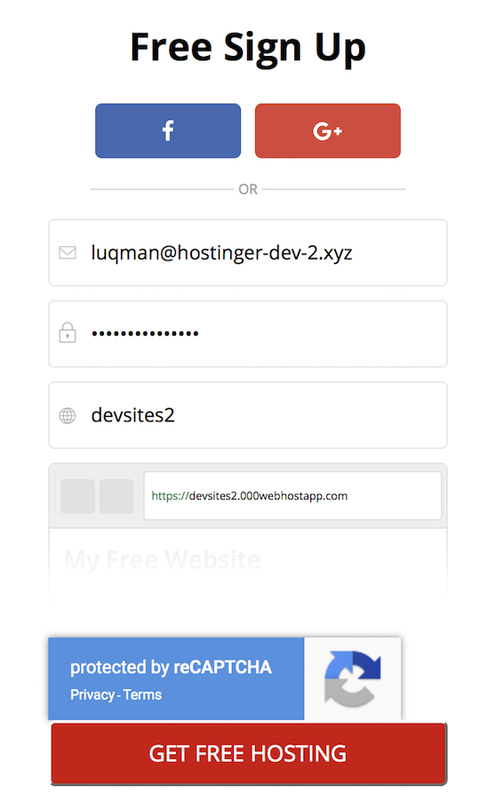 Here at 000webhost you can host a website free of charge! Our free services are perfect for beginners and those, who don’t have a big budget. What is more, we will provide you with PHP, MySQL, and control panel with no ads! The only drawback of free hosting is the lack of support and resources. However, if you feel like you need more functionality for a low price – our sister company Hostinger will be the best choice. Hostinger’s premium shared hosting plan is currently the most popular one. It only costs $5.45 a month, which translates to $71.94 a year including taxes. And you know what they say – the more you spend, the more you save. If you opt for the four-year Hostinger services plan, hosting will only cost $2.95 a month! So, whenever your site and audience grow, have a nice chat with our legendary support team to help you transfer and get your website a nice premium place it deserves. But before that time comes, let’s get you covered with the free plan. Head to 000webhost.com, and click that free sign up button. You can sign up using Facebook and Google Plus, or you can sign up using your email. Now go to your email account and confirm the link that we’ve sent. 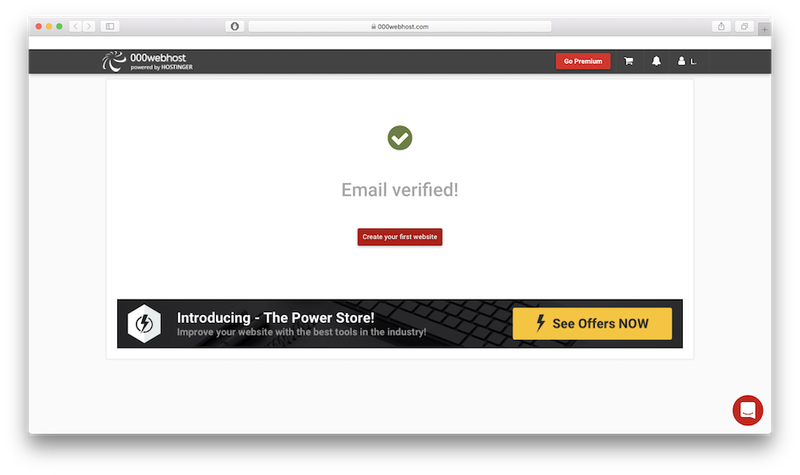 Once verified, you can start creating a website. After that, you’ll get a form to fill the website’s name and password. 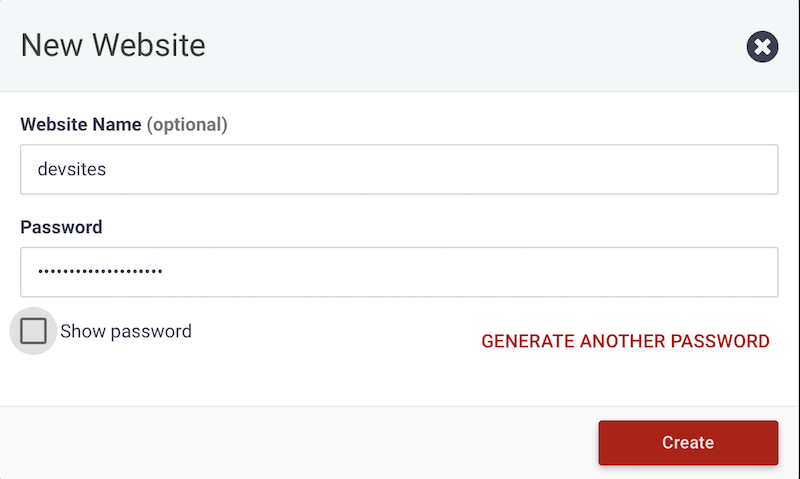 This step will add the website to your 000webhost sites list. There are three options available to build your website: using site builder, WordPress, or uploading a website that you’ve developed. In this article, we’ll create a website using WordPress. 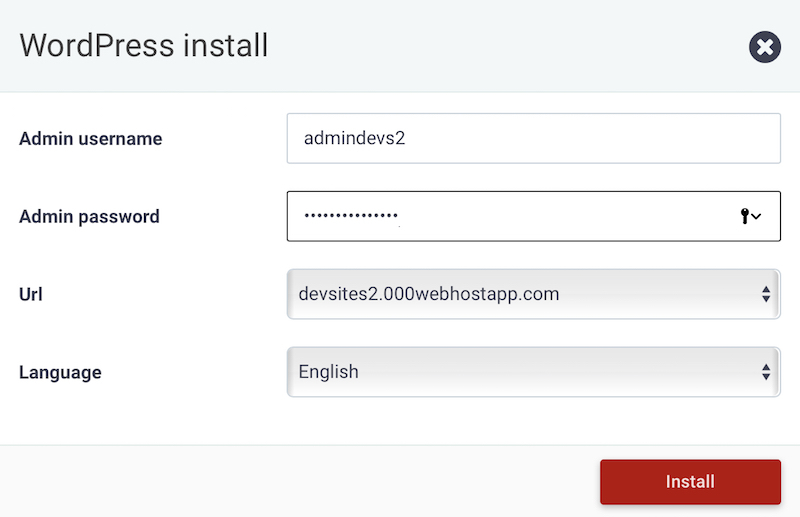 Click install now, and you’ll get another form to create the webmaster login. When you finished, click the install button. After that, we’ll install the WordPress engine for you. Once completed, you can go to your website admin dashboard by clicking go to the configuration page button. Alternatively, you can also add /wp-login.php slug at the end of your website URL. 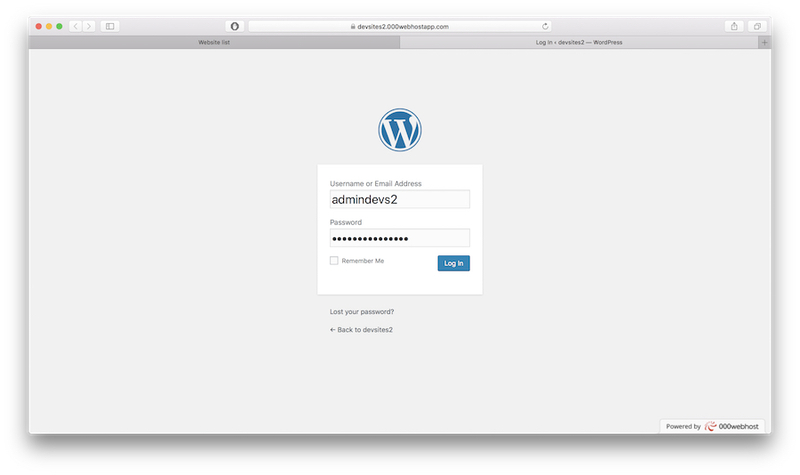 You can now log in to your WordPress dashboard. There you go, you’re officially hosting a WordPress site for free! 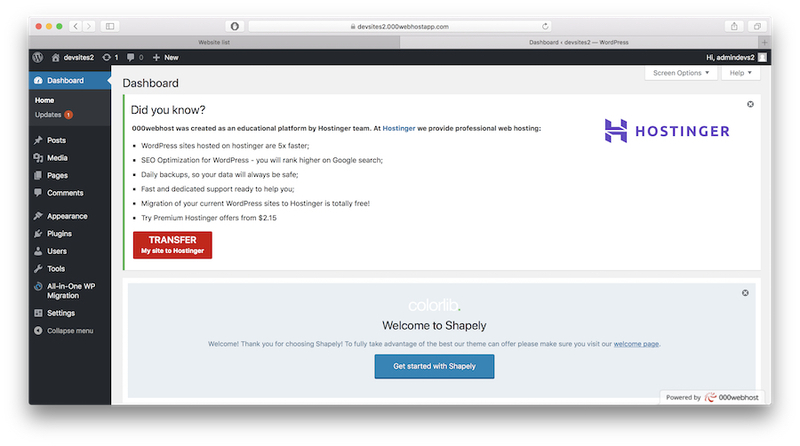 When you need more resources for your site and visitors, know that Hostinger is just one click away. That’s a wrap. Now you know that it’s possible to host a website for free. You can use it to explore and learn more about web development, blogging, ecommerce, etc. There are no strings attached, though it comes with some limitation. It’s a free service, so you’re basically on your own should technical issue arises.